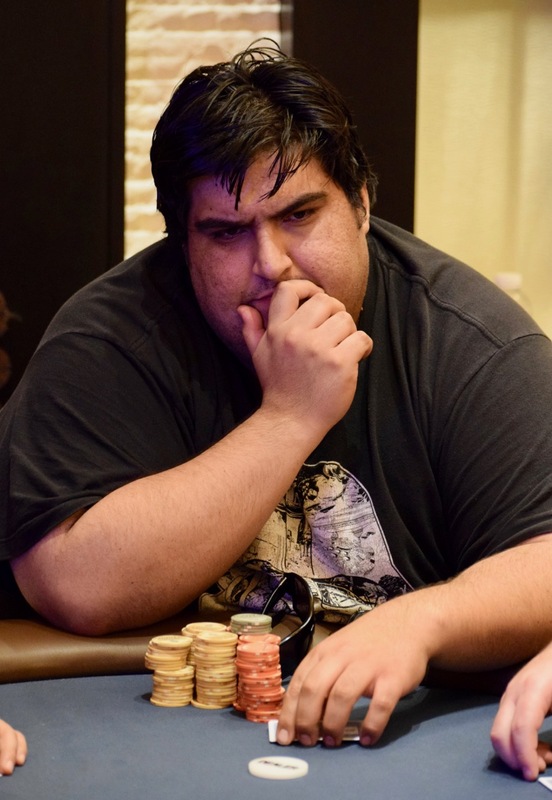 -- David @Dval17 Valdez moved all in for his last 9BB - 199,000 - and Chris @RUKidingMe44 Hinchcliffe immediately undershoved for 161,000. Hinchcliffe held and on the next hand - after the antes - Valdez was down to less than 1BB and SB combined. Fast forward to the now-8-handed final table and Valdez is the chipleader with 1.9 million of the 9.3 million in play. Hinchcliffe is 2nd in chips at 1.6 million.